Yixuan was born into an ordinary family in the mountains of Yangshan County in northern Guangdong Province. When she was born, she looked like a little old woman, dark, wrinkled, and ugly. Yixuan's parents, though, wanted to give their child a pretty name, so that eventually she might become as pretty as her name. They chose "Zhang Yixuan." But what they did not know was how hard it would be for their little caterpillar to turn into a beautiful butterfly. When Yixuan's parents took their daughter back to the hospital for her 42-day check up, they found out she had heart problems, but did not think it was serious at the time. On July 14, 2007, when Yixuan was 11 months old, she suddenly developed difficulty breathing, her face quickly became purple, and she started having convulsions. The doctor issued a critical condition notice. Maybe it was because she heard her mother calling her name by the bedside, or maybe it was because she just wasn't ready to leave her parents, but somehow, Yixuan pulled through. The Guangdong Provincial People's Hospital diagnosed her condition as "tetralogy of Fallot", which could be cured by surgery. 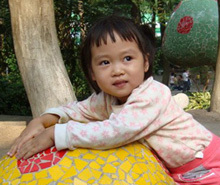 When Yixuan was fourteen months old, her family finally borrowed the fifty thousand yuan needed to pay for the operation, and went to the hospital with high hopes. To their shock, a more in-depth examination would reveal that their daughter had been misdiagnosed; in fact, Yixuan suffered from "pulmonary atresia with ventricular septal defect type 4". After consultations, experts from the Guangdong Provincial People's Hospital decided that her situation was would not be helped by surgery. Yixuan's mother was heartbroken. In 2008, Yixuan's mother asked for help via the internet. She brought Yixuan's medical records to the Beijing Huaxin Hospital, as well as to the Shanghai Children's Hospital. They both told her that they could not perform surgery on Yixuan. Yixuan's mom was desperate. However, in the meantime, volunteers at A Life A Time Foundation (then OSCCF) had been searching for medical resources in the United States that might help Yixuan. They learned that the International Children's Heart Foundation (ICHF) would be sending American cardiac experts to the Beijing Children's Hospital to perform operations in September 2009, and submitted an application for Yixuan. After having been issued a death sentence by all the prior hospitals, Yixuan finally found hope for life again. In September 2009, experts from the U.S. gave her a first palliative surgery. After this operation, Yixuan's condition improved a great deal. Her skin only turned purple if she cried or over-exerted herself physically. The doctors suggested a check-up in six months, to see if they could finish the radical operation. Six months flew by, and a second operation for Yixuan was just around the corner. Unfortunately, more than one people in her family had been ill and needed medical treatment, The family was in deep debt and could not afford the surgery. Yixuan's future was once more under a cloud. With no other recourses, Yixuan's mom again asked for help on the internet, hoping a fundraising campaign could help raise the fifty thousand yuan deposit for the operation. Soon, help came, in the amounts of 1 yuan, 10 yuan, 100 yuan, 1,000 yuan...With love from the hearts of friends, parents and strangers, Yixuan finally had enough money for her life-saving surgery four months later. As a fundraising platform, A Life A Time raised about 9370 yuan for Yixuan. On September 9, 2010, U.S. experts performed a radical mastectomy on her in Beijing. However, according to the doctors, Yixuan's conditon was very severe, and it was not known if she would make it in the long run. On September 11, 2010, Yixuan had a second thoracotomy due to bleeding in her chest, which needed to be stopped immediately. 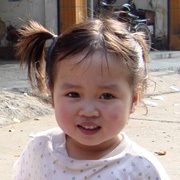 The hospital gave its best effort while Yixuan was in critical condition, and she slowly improved. But then, like a bad reminder, Yixuans surgery deposit account again ran out of money; she now faced the possibility that the hosptical would not be able to continue her medication. Once again, caring strangers at the Yaolan Chinese parenting forum brought Yixuans the life-saving money through their fundraising efforts. 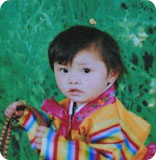 On September 14, Yixuan had her third open-chest surgery. On September 15, she was finally able to breathe without the aid of machines. On September 17th, Yixuan's mother was able to visit her in the ICU for the first time, and saw that the color of her daughter's lips and nails were pink! After so many years of struggling and effort, finally, Yixuan's lips were not purple anymore. October 4, 2010 was a milestore in Yixuan's life. After having struggled on the brink death times and again, she was finally transformed from a tiny caterpillar into a healthy beautiful little butterfly, and was going back home with her mom and dad. As a caring netizen, who called himself "Niuniu's Dad", said, for the past two and half years, Yixuan's story, with as many twists and turns as this operation itself, with its constant disappointments and hopes, and filled with the blessings and help of so many, eventually came to a happy ending. Without so much help and love from others, she might not have survived. Yixuan made her own miracle by being brave, and by never giving up. We hope her story can give hope to our volunteers, and to the parents of other sick children, by showing us that although it was really hard to go through the whole process, the caterpillar will eventually become a beautiful butterfly, and start a new bright future. A Life A Time Foundation (Formerly known as OSCCF, Overseas Save Chinese Children Foundation) is officially registered in the U.S. and designated by the Internal Revenue Service (IRS) as a 501 (c) (3) non-profit charitable organization. Donations to A Life A Time Foundation are tax deductible.